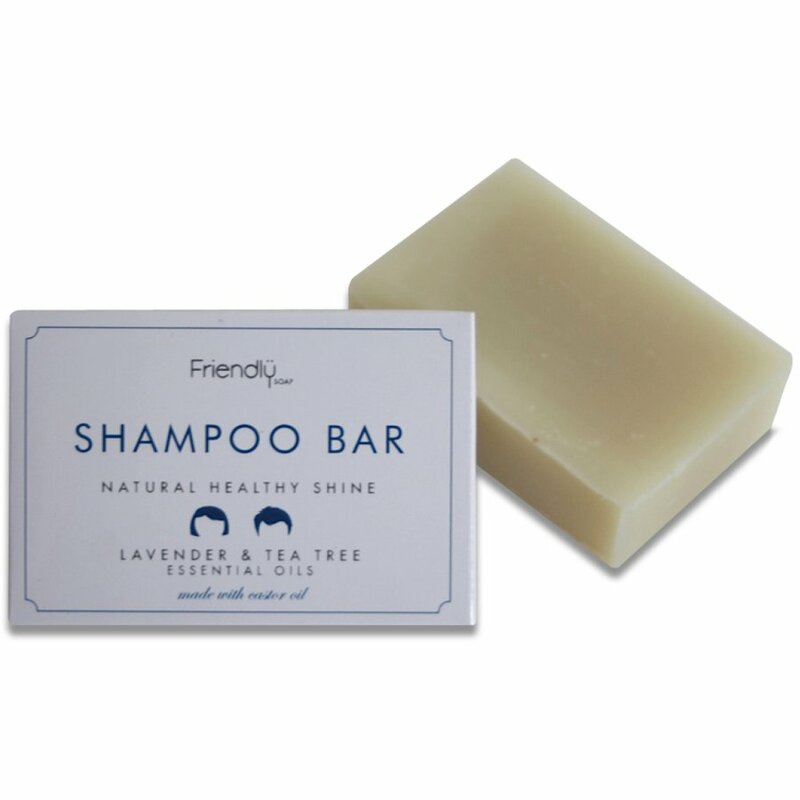 Give your hair a natural, healthy shine without hurting the planet with this natural, handmade shampoo bar from Friendly Soap. 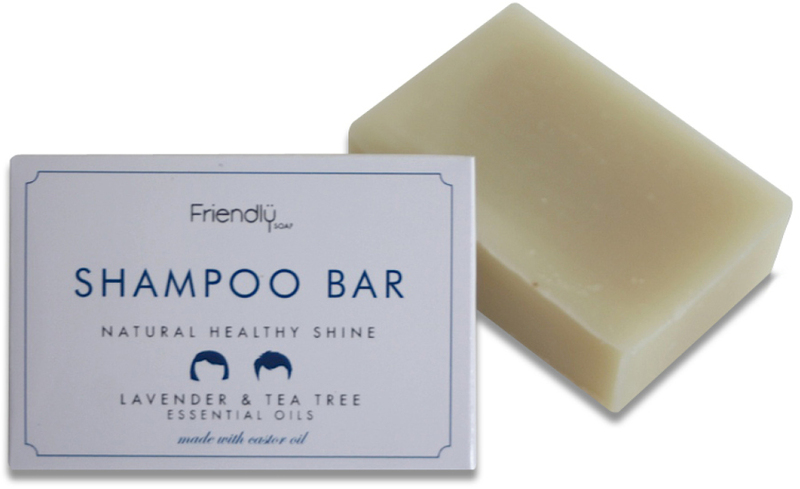 Made in the UK with castor oil and scented with lavender and tea tree essential oils, the shampoo bar will nourish and condition your hair whilst promoting healthy hair growth. It is cruelty free, suitable for vegans and made without parabens, SLS or palm oil. --FULL LOWDOWN--rnOverall conclusion: Too many downsides for me to carry on using this. Trying a Lush shampoo bar next.rnrnPros: rn- Lathers well, ignore the people who say it doesn'trn- No plastic, yay!rn- Lasts at least 3-4 monthsrn- Gives fine hair much better volumernrnCons:rn- Due to the castor oil in it, it leaves a residue on the hair after washing which makes it feel greasy.rn- The above means that as with any castor oil treatment, rinsing afterwards with apple cider vinegar (ACV) is totally essential to avoid too much greasy feeling.rn- The above means that using this shampoo is not cheap since ACV is quite expensive, counterbalancing the cheap cost of the shampoo bar itself. I've already been through two bottles of ACV and the bar still isn't finished, so I'm throwing the rest away because I'm not paying for another bottle of ACV just to use it.rnrnI also have a problem scalp and was using Superdrug's Trichology range before, the only thing I've found that works. This shampoo bar didn't soothe my scalp like Trichology did, and I wonder whether the ACV rinsing might have been irritating my skin. I was excited to use this shampoo bar but I have used it a couple of times and my hair does not feel fully clean, the bars leave residual substances in your hair which feels weird. I have stayed longer under hot water with the hope that when I get out of the shower I feel the soap has really gone but it really has not worked out for me. I will keep trying other brands with similar plastic free packaging. Q: What are the dimensions of the soap bar? 20 out of 20 found this question and answer helpful.